Sadly yesterday I said goodbye to two old friends, lured by the opportunity and desire to own a light weight wide angle prime lens. The most loved of the two lenses was a 20-35mm f/2.8D. The lens was Nikon's first professional ultra wide zoom, introduced in 1993 and over 45,000 were made up until production stopped in 2001. I bought mine “Used” at Wall St Cameras, a great place to spend an afternoon whilst in New York, I think around 2000 and it found it’s way into the bag on many holiday trips as the go to widey. It took a heavy knock when it came out of the camera bag and rolled across the stone floor of a Cathedral in Tunis. What damage there was to the lens was caused by the glass filter smashing and chipping the finish off the body and scratching the front element - which is quite ironic as most camera outlets will tell you the reason to buy a filter is to protect the front element from damage - I have never put a filter on any of my lenses since. The other lens was even older a Nikon 70-210mm f/4-5.6, so old I can’t even remember buying it. 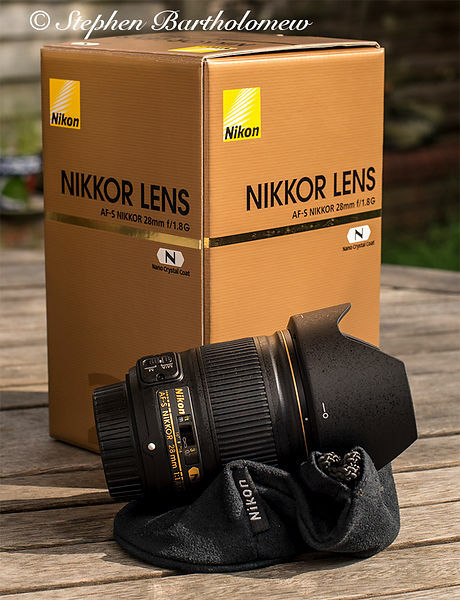 Both were part exchanged for the Nikkor 28m f1.8 and will be used on the D610.